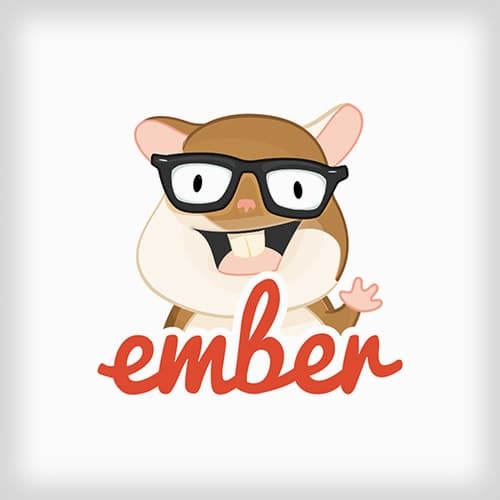 Learn Advanced Ember 2.x -- benefit from Ember’s latest advancements! Michael introduces the concept of a Container covering best practices for implementation and common issues with using them to troubleshoot problems better. Michael covers Resolver, which attempts to look up routes, models, components, and more in the codebase, to better help organize the codebase. In this challenge, students write an ES6 module that handles a few of math utilities. Michael walks through the solution for Challenge 1. There are two types of initializers: application initializers and application instance initializers. Michael reviews Application initializers that run as your application boots, and provide the primary means to configure dependency injections in your application. Michael covers application instance initializers, which are functions that are invoked immediately after an application boots up. In this challenge, students write an application that requests access to user's geolocation data. Making sure the application does not start until the geolocation is available, stores the information in the container. Michael walks through the solution for Challenge 2 and takes questions from students. In this challenge, students build a Broccoli plugin. Michael walks through the solution for Challenge 3. Setting up a build process with Broccoli with automated testing and Heroku deployment. In this challenge, students build an automated testing and deployment system. Michael walks through setting up Fastboot and takes questions from students. In this challenge, students use Fastboot in a deployment of an application. Michael walks through the solution for Challenge 5 and takes questions from students. Michael introduces the concept of Shoebox, which allows you to leverage server API calls made by the FastBoot rendered application on the browser rendered application. This approach keeps duplicating work the application is performing and results in a performance benefit. In this challenge, students get the user agent and make it accessible to the client side. Michael walks through the solution for Challenge 6 and takes questions from students. Michael walks through the solution for Challenge 7 and takes questions from students. After Michael introduce four types of state: UI State, Persisted State, Addressable State, and Draft State, he covers the core principles of each including the best practices for handling state management. Michael reviews Addressable State, which is data that can be shared, historically archived, or URL-driven like sorted or filtered search results. In this challenge, students update and filter Query Parameters. Michael walks through the solution for Challenge 8 and takes questions from students. Michael introduces the concept of Draft State. Unfinished email messages or comment messages are good examples of Draft State, which is locally-stored temporarily data that will eventually be persisted. In this challenge, students create a draft feature that saves a draft of a comment even if a user navigates away from and back to their post. Michael walks through the solution for Challenge 9. Introducing the concept of Persisted State, which is a concept that even though a user didn't explicitly tell us to save data to a file such as a comment or a review, or email message draft, the user would appreciate storing that data away for when they return. Micahel covers how in Ember we can save temporary user data. In this challenge, students work with persisted state to create a comment system that keeps a user's draft even if not explicitly told to save it for the user. Michael walks through the solution for Challenge 10 and takes questions from students. In this challenge, students create collapsible piece metadata record about a post with the initial state being hidden. The display of the meta information—hidden or shown—is persisted for each record for the duration of the UI session. Michael reviews State Management types and how thinking about a coding problem in terms of state helps understand how to approach the solution better. In this challenge, students build out a feature that allows editing of a comment and submitting that update while avoiding double posting. Michael walks through the solution for Challenge 12 and takes questions from students. In this challenge, students animate the number of comments that belong to a post. Michael walks through the solution for Challenge 13. In this challenge, students build a Blueprint that makes an image placeholder. Michael walks through the solution for Challenge 14 and takes questions from students. In this challenge, students create an addon to move components and templates into the appropriate folders of the addon. Michael walks through the solution for Challenge 15. Michael introduces included hooks within an addon to work with Broccoli as it generates assets. In this challenge, students create an addon that automatically gets added to the asset pipeline. Michael walks through the solution for Challenge 16. Michael demonstrates how to include a command to Ember-CLI. In this challenge, students create a command that sends out a notification that gets printed to the console when executed. Michael walks through the solution for Challenge 17. Concluding the workshop, Michael thanks his students.